Writing doesn't have to be of epic proportions to be epic. Shorter reads can be less daunting when we don't have a ton of time to read for pleasure. In this month's Essential Reading, we're proving that good things do indeed come in small packages. 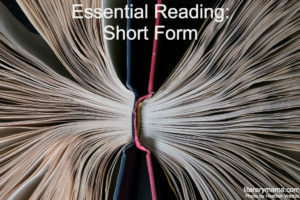 We're highlighting some tiny, yet mighty books in the many styles of short form writing such as novellas, chapbooks, poetry, and short story collections. I found inspiration in the pint-size poetry chapbook By the Slice, an anthology by Spooky Girlfriend Press. I admit, I bought the book based on the fun cover, which is always a risk, but this collection of 12 poems did not disappoint. 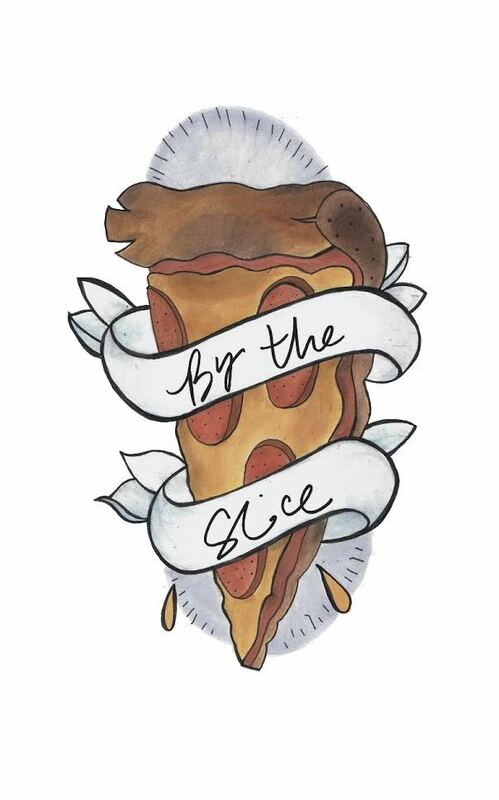 One might think that poetry about pizza is silly, but this group is not cheesy in the slightest (pun absolutely intended). With 13 different poets (one poem boasts 2 authors), the chapbook offers way more than a literal interpretation of the food, though one of the poems is visual and in the shape of a slice. The poems delve into topics such as relationships, depression, and our very existence. At 22 pages, you can easily read this collection over a slice of pizza, which is probably the best way to experience it. 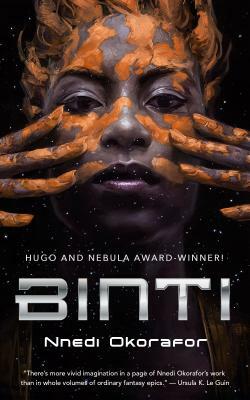 Hope Donovan Rider, Managing Editor and Reviews Editorial Assistant, offers a pair of novellas: Binti and the sequel, Binti: Home by Nnedi Okorafor. She writes, "These science fiction novellas feature an African heroine who is the first of the Himba people to be accepted to an alien university. In the first book, Binti has decided to follow her dreams of a higher education to Oomza University, even though it means breaking with her family and the many customs that bind her people together. The journey is not smooth, and she finds her resolve tested in ways she could not have foreseen. In the second novella, when she returns home to her family, Binti must face the consequences of her actions and the changes they have brought to her. Though each book is short, Okorafor has created a rich world and an engaging protagonist of a kind not seen often enough in science fiction. She is African, female, intelligent, and although the setting is alien, her actions and emotional responses are relatable to anyone who has ever faced the choice to leave home or stay." Senior Editor and Profiles Editor Christina Consolino shares, "I've been trying to improve my own short fiction writing, and have gone back to read The Usual Mistakes, and Other Stories by Erin Flanagan. As the title implies, Flanagan showcases a group of characters who are raw, real, and flawed; people who have lived to tell about the mistakes they've made, some of them regretful. From an ex-con, guilty of killing a woman while driving under the influence, to a wife who realizes she invited the wrong person to a party, to a young woman who is living a life full of lies, Flanagan weaves short stories that speak to the intricacies of the human spirit and the complexities that involve every relationship. With quick wit, sometimes irreverent humor, and nuanced description, Flanagan brings each character to life. Despite their obvious flaws, or maybe because of them, I found myself cheering for every one of the people I met in this collection." Fiction Editor Lisa Katzenberger offers an essential short read for kids. 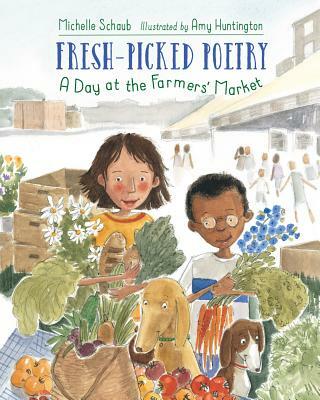 She writes, "Introduce your little ones to poetry with Fresh-Picked Poetry: A Day at the Farmers' Market, a lyrical picture book that celebrates a morning at the farmers' market. The collection is filled with sharp poems that are just the right amount of short and sweet to keep a child's attention. And it's not all fruits and veggies, either. This book celebrates all the elements of a market morning, including the farmers, musicians, knife grinder, and face painter. The collection follows two friends and their dogs as they weave their way through cauliflower, gooseberry, honey, dinosaur kale, and more. Their time is packed with education and adventure as they identify scents of fresh-baked pastries, learn the best way to pinpoint ripe vegetables (ask for a taste! ), and get caught 'blue-handed.' This delightful book wraps up with a page of kid-friendly facts about farmers' markets, paving the way for a fun family field trip." Do you have a favorite short form book you'd like to share? Tell us about it in the comments below, or tweet us @LiteraryMama. Follow us on Goodreads for more recommendations. Abigail Lalonde lives in Philadelphia with her husband, daughter, and three cats. She holds an MFA in creative writing from Rosemont College. Her work has been featured in Sanitarium Magazine, Pretty Owl Poetry, Crack the Spine, and Memoir Mixtapes. She writes about books and writing on her website. Heather Vrattos is pursuing an interest in photography by taking courses at the International Center of Photography. She is the mother of three boys, and lives in New York City.